(Washington, D.C., March 31, 2011). Larry Klayman, the founder of Judicial Watch and Freedom Watch, and a U.S. Senate candidate in 2004, today filed suit against the "founder" of Facebook, Mark Zuckerberg and Facebook itself for their role in furthering a radical Palestinian page called "Third Intifada," which threatened Jews in particular with death. 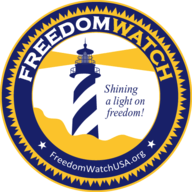 Mr. Klayman, who is of Jewish origin, is a prominent public interest advocate and as Chairman of Judicial Watch and now Freedom Watch has pursued court cases and other activities that involve radical Palestinians. He is also known to be a strong supporter of Israel, and has been called a "Zionist" publicly by radical Palestinians and other such Arabic interests. Mr. Klayman is thus a target of this call to kill Jews. Over the course of the last week, Defendants were asked to take this Third Intifada and related sites down, but refused. Only in the last few days did they do so, after increased pressure was exerted by the Israeli government. However, the damage had already been done and it is believed that this and other pages will soon reappear on Facebook. As alleged in the complaint, one can explain the initial refusal to take down the page as an effort by the Zuckerberg and Facebook to increase the social network's net worth based on viewership and use. It is not in dispute that Facebook has profited handsomely by the turmoil in the Middle East. The complaint alleges assault and negligence, including willful and wanton conduct, gross negligence and recklessness on the part of the Defendants, as it has put Mr. Klayman's life at risk, as well as other similarly situated Jews who are prominent public figures and otherwise. The complaint reserves the right to be amended into a class action suit and prays for compensatory and punitive damages in excess of $1 Billion Dollars. 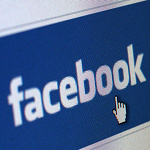 "While Facebook has accomplished a lot of good, it can, as in this instance, be used for nefarious and evil purposes. Defendants Zuckerberg's and Facebook's callous and greedy actions in not taking down the page, but willfully allowing it to stay up for many days, has caused huge damage, for which they must be held accountable, so as to prevent this from ever happening again. They must be not only enjoined but also hit in their purse, which is where they understand matters best. Apparently, the ethically compromised Zuckerberg has no conscience or sense of right or wrong, as depicted recently in the award winning film "Social Network." yahoo.com for a copy or to set up an interview with Mr. Klayman.